Paperback - 84 pages, illustrated and containing historical notes. 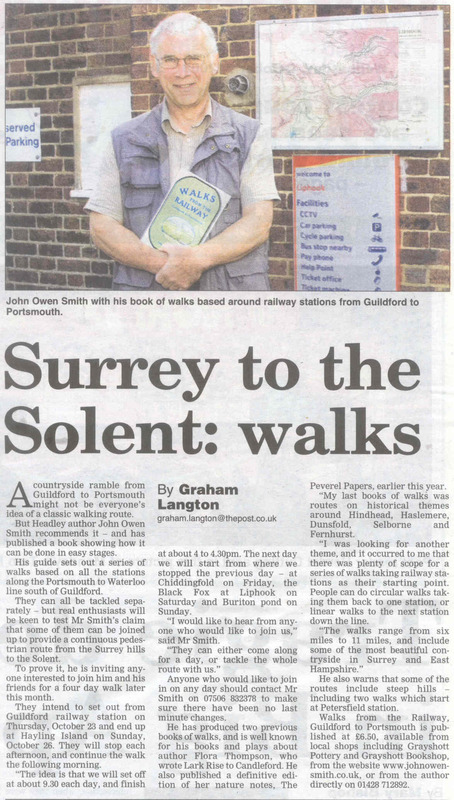 It is about 60 miles (or 95km) to walk from Guildford to Portsmouth Harbour, and it can be done. 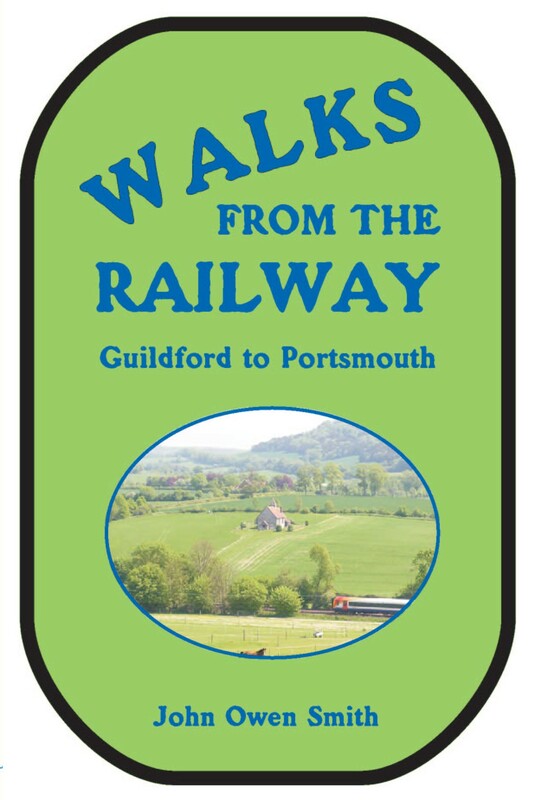 If, however, you would prefer to let the train take at least part of the strain, this book has divided the journey into manageable chunks which can be walked between railway stations. It also includes a circular walk or two from each of the stations on the way  and I couldn't resist the temptation of offering you a quick trip to the Isle of Wight too. The routes are described travelling towards the coast. There is no reason, of course, why you should not choose to walk in the opposite direction. In either case, I recommend that you take the relevant Ordnance Survey maps with you as, from personal experience, it can sometimes be all too easy to find yourself on the wrong path and needing to find your way back to some identifiable point. This is particularly true where a route uses permissive paths rather than public rights of way, as the former are not always shown as tracks on maps. 7. Turn right along the minor road, turning left by Knockhundred Cottage along a footpath with garden boundaries to the left. This becomes a track past houses (Chase Villas) before meeting a road. Turn left here to pass under the A3, then left and left again up a side road (to Chase Farm). Continue along this road to Point 8. 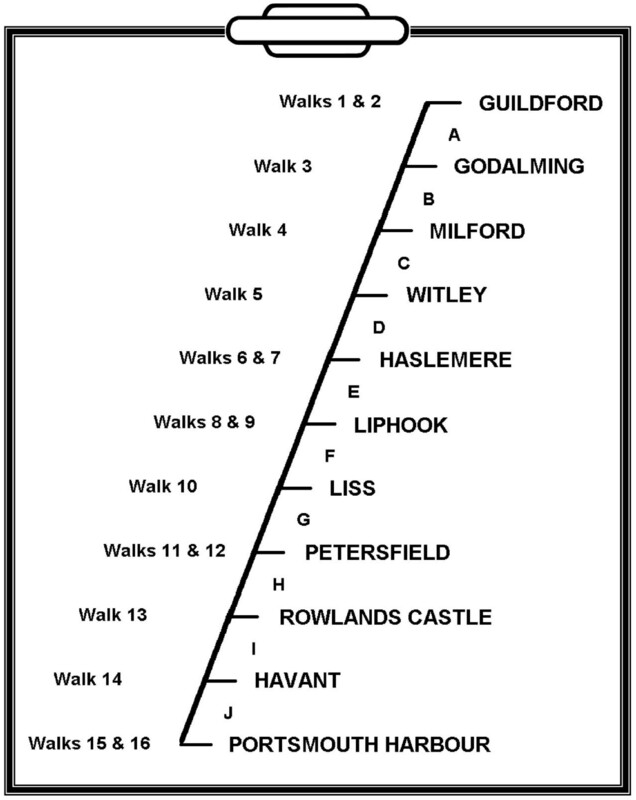 If you would be interested in having the author join your group to guide and interpret one of these walks, please contact me for details of costs.